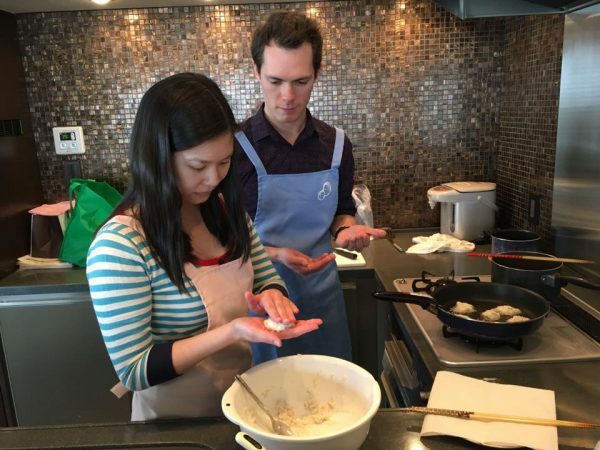 Join the “Studio AI Tokyo Japanese Cooking Class” at Sheena and Ippei! Sushi, Tempura, and Sukiyaki are not the only Japanese foods out there! I want you to know about more and more kinds of food! 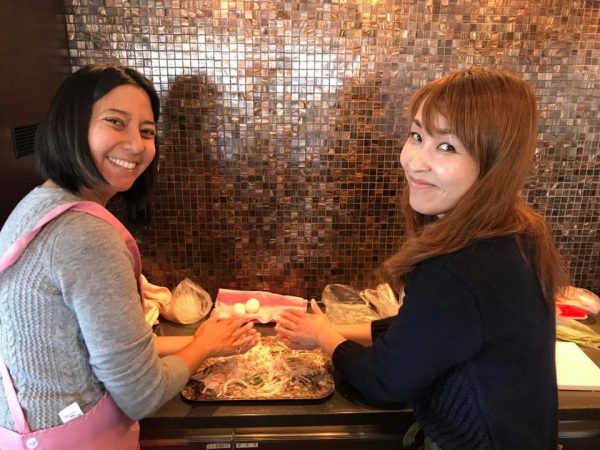 You can learn how to prepare and eat authentic Japanese home cooking in my cooking class. 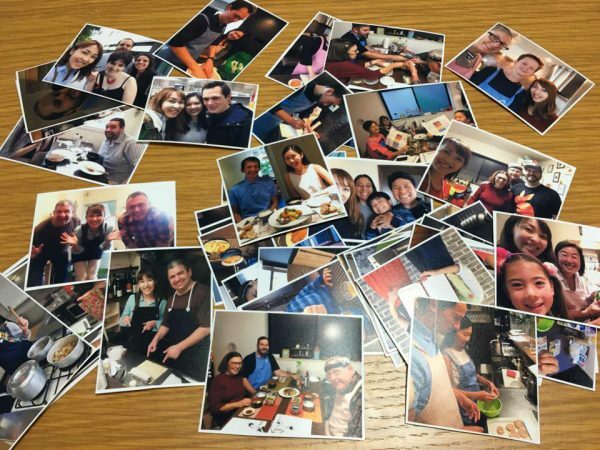 Let’s do it together at Sheena and Ippei with it’s warm atmosphere and your teacher, Lisa who is a big food and cooking lover. We are going to make one main dish, and 2 side dishes. *Please choose the class you want to join from below. 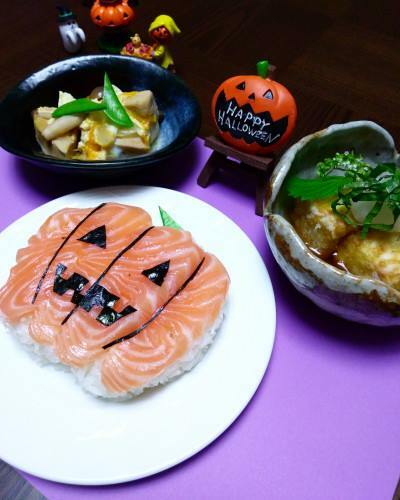 Let’s make Jack-o’-Lantern Salmon Sushi for Halloween meal. The side dishes will be Tofu menu. One is Agedashi Tofu the Japanese popular Izakaya menu, and another one is Koya-Tofu dish, the very different, unique and delicious kind of Tofu. ※Please let us know if you have any food allergy, so we can arrange the food product to use. 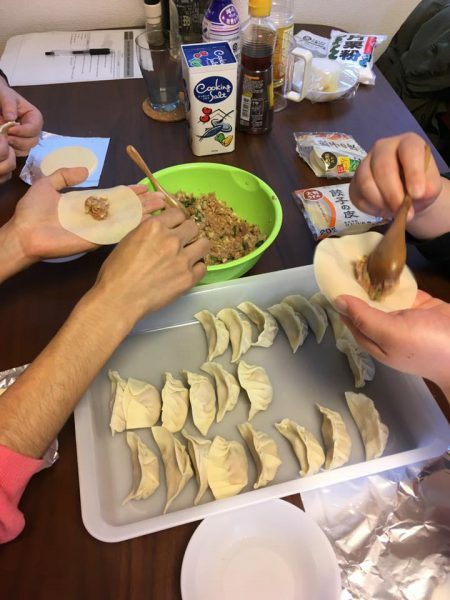 Gyoza is one of the most popular menus at my cooking class. 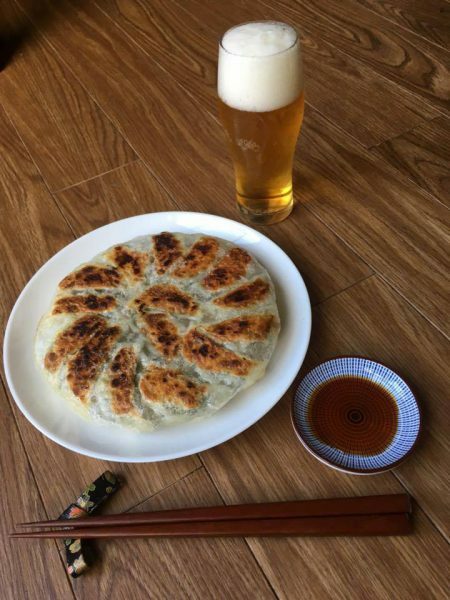 We wrap the stuffing with the Gyoza wrapper, and turn it into the crispy on the outside and juicy inside heavenly good Gyoza using flying pan. Also, we are going to make two side dishes to go with the Gyoza really well. *The class will be held when we have two or more participants for a class. *If you have any food allergy, please make sure to let us know, so Lisa can fix the food products she is using in the class. *We have to fix your cooking class at least 3 days before the day. *The class will be half demo and half hands on style.